Funny how a simple cliff top walk can trigger thoughts of far off places. Plants do that to me....whilst my companions are gazing sky or seawards there I am eyes cast to the ground, observing this or that plant. I just can't help myself, observing natures patterns everywhere. This time, a wall of Hottentot Fig, cascading over the large granite boulders was the culprit. 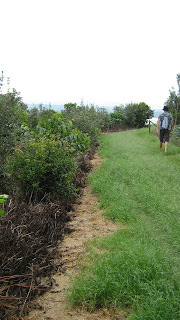 Last winter I escaped to the southern hemisphere and the sight of the fat succulent stems of this invasive plant reminded me of my musings about foreign plants and their effects upon native flora. 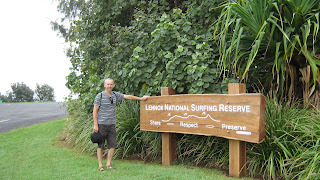 "Have just returned from a walk to the headland at Lennox, testing out my new light weight Merrel sandals. Heavy tropical rain last night invited a host of stealth mozzies so we marched rather than strolled. Whenever we stopped they were on us...despite the mozzy spray before we left! However we did get to the Headland and we saw a pair of dolphins for our efforts. Plus, a pair of bedraggled crows, disneyesque almost, sat on a fence close to us and performed my favourite 'warbling' sound. I felt honoured - but then I have always had an affinity for big ugly rook-like birds. Noticed the wild flowers on the walk to the headland. Hibiscus tritonia, Lobelia vallida, Verbena rigida, a beautiful black creeping pea and the ubiquitous purple morning glory, plus lots of ferns. Half hardy plants often grown as summer bedding back home. I particularly love the irridescent blue of the Lobelia but it has never lasted for me. But the Verbena rigida has been a real trouper, giving me a low wall of purple most of the summer. Bees and butterflies adore it, like its taller counterpart Verbena bonariensis. Also on the headland there was the brutal evidence of heavy glyphosphate use. Once I would have been aghast at this practise but now I understood that the removal of undesirable ground covering aliens is absolutely necessary to preserve local flora. 'Envite', delivers ecological restoration services in this region. A big project along the banks of the Wilson River is threatened by three major weed species: asparagus fern, madeira vine and small-leaved privet. The plant threatening Lennox Head is called Bitou Bush. This is a 'noxious' weed in NSW of 'national significance'. It was introduced into Australia approximately 100 years ago near Newcastle. For decades it was deliberately planted along the NSW coastline. It's ability to rapidly spread and form monocultures makes it a key threat to the survial of many native species and vegetation communities. I also noticed Hottentot Fig ( Carpobrotus edulis) on a slope of a private garden close to the headland and am reminded of what this plant had done to Fistral and other key places in Cornwall, like Prussia Cove." Ironic the natural world - that a plant in the right place can be so beneficial but out of its environs can be so damaging. I recall my feelings when as a young trainee horticulturalist I first learnt that the vast swathes of Rhodendron ponticum that I so admired in Dorset, were in fact a terrible invasive alien. What that pretty mauve bush, covering the hillside? Yep, indeedy - that pretty mauve bush kills all the remaining vegetation underneath it, renders the soil a desert and is a barren wasteland for all native insects and birdlife. It was and still is a shocking revelation. So, each bucketload of garden waste chucked over the wall to fall innocently enough on that patch of wasteland or cliff path almost certainly was the cause of many of our problems in this country. 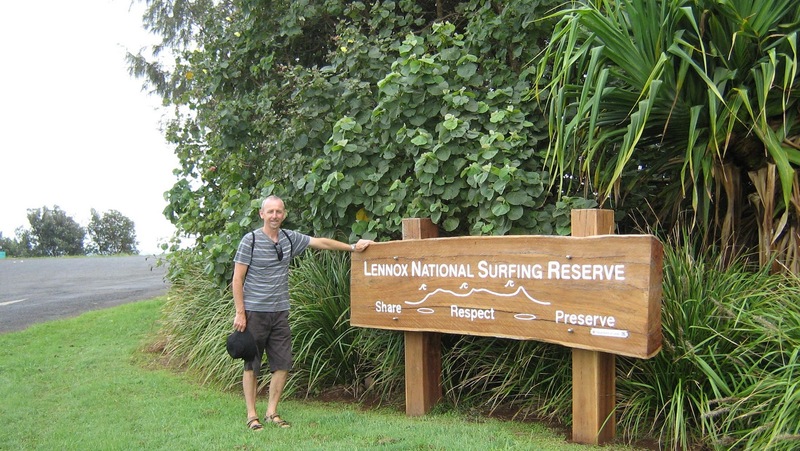 But before I go all preachery whilst remaining concerned about the problem of alien escapees I can honestly say right now that I would give anything to swop this wet rainy January day to be exploring the plant life, native and non-native at Lennox Head again. Garden Consultations - are they worth it?